Categories: Children's Adoption Books, Transracial Adoption, About Adoption, Agency Essentials, Books for Ages 2-4, Books for Ages 5-8, Children's Adoption Books by Age, Classic Adoption Books, Tapestry Picks. Family is about love no matter how different parents and children may be, adopted or not. 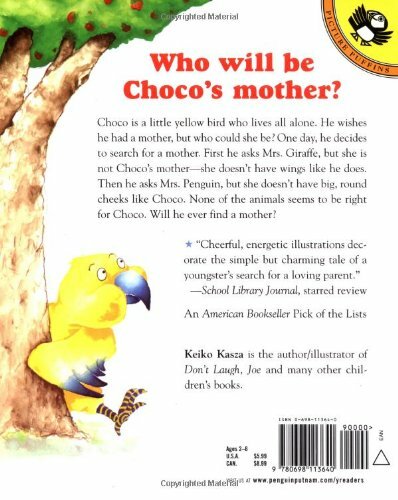 Choco wishes he had a mother, but who could she be? He sets off to find her, asking all kinds of animals, but he doesn’t meet anyone who looks just like him. He doesn’t even think of asking Mrs. Bear if she’s his mother-but then she starts to do just the things a mommy might do. And when she brings him home, he meets her other children-a piglet, a hippo, and an alligator-and learns that families can come in all shapes and sizes and still fit together. 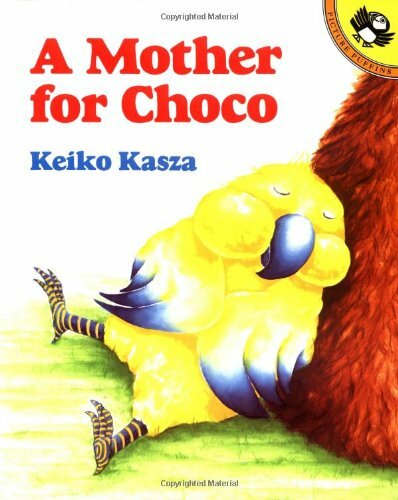 Keiko Kasza’s twist on the “Are you my mother?” theme has become one of the most highly recommended stories about adoption for children.